Your pool might be looking good already. No matter how good looking it can be, a natural touch can make it far more than perfect. 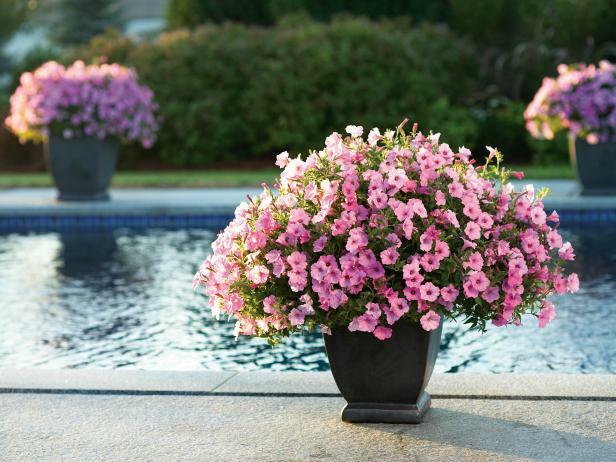 With the right landscaping, your pool would be quite a stunning at first sight. 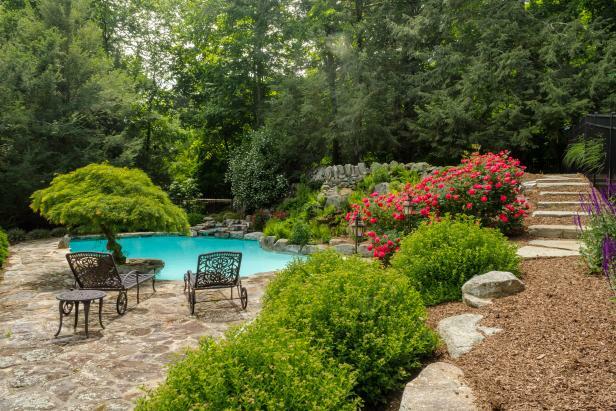 It is magical how lush gardens can make an artificial pool look more lively and natural. 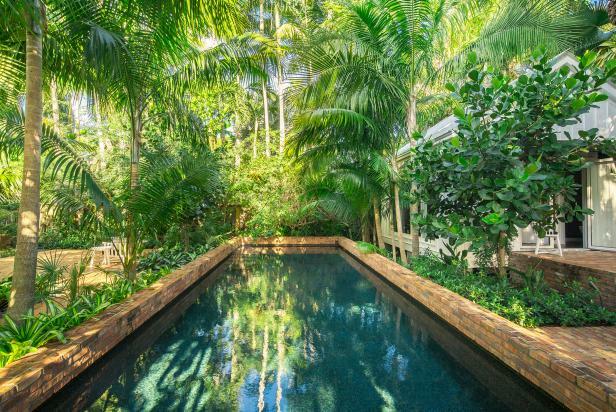 It’s amazing how a small lush garden can lit up the surrounding of your entire swimming pool. If you find that the budget is too high when getting new plants you can make some change with the existing plants and shrubs as they are already living in the present environment for years. 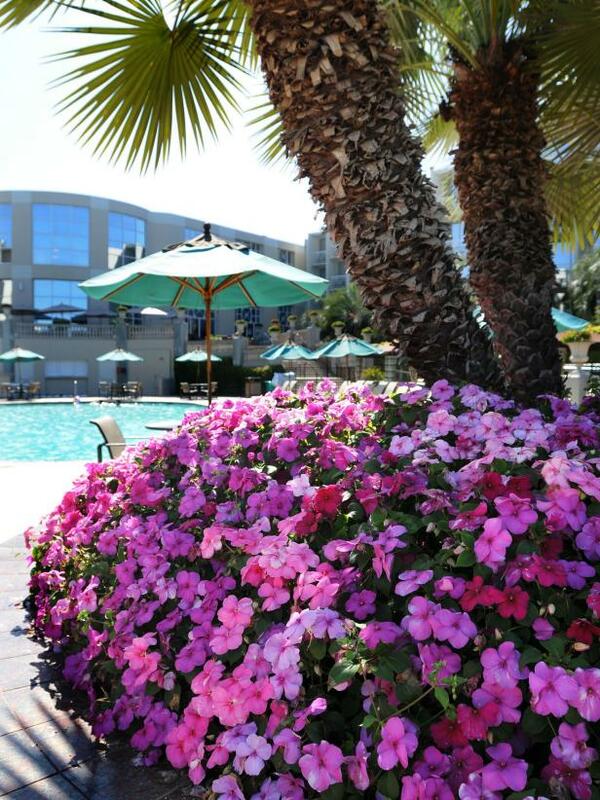 A hanging basket of flowers will add more splendor to the outdoor pool. 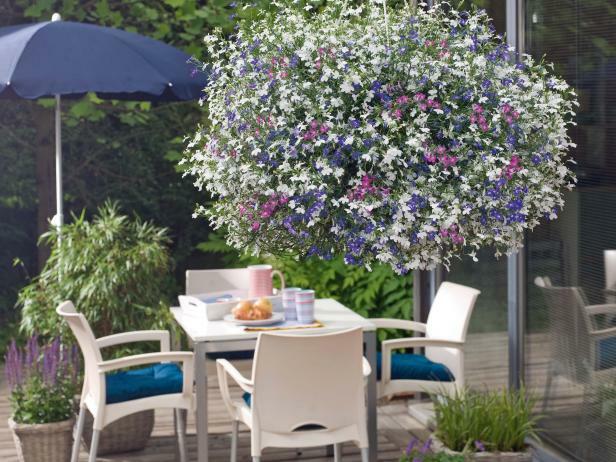 Plants like Pelargonium, Geraniums, Begonias, and Fuchsia are some commonly used flowers where you can have them hanging down beautifully in a lovely basket. This is a beautiful way of decorating your surrounding by the swimming pool. It is necessary to have an idea of what kind of landscaping you would prefer. Before choosing the shrubs, plants and trees consider the type of soil in your area and what types of plants you can grow in your area. Whatever the plant you choose, make sure it doesn’t give you much trouble in maintenance. Plants or threes that keep shedding leaves, needles, twigs, cones, etc. can be real trouble once you start cleaning the premises. So choose your plant wisely, along with the looks it should be manageable too.